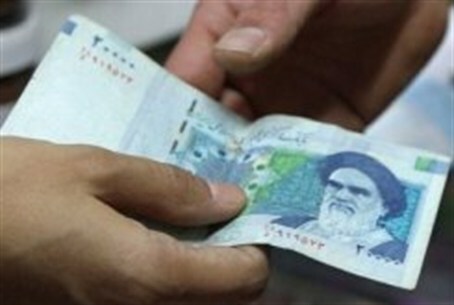 Iran’s rial has plummeted to an all-time low, dropping more than 21 percent drop over two weeks. Iran’s currency plummeted to an all-time low on Saturday, registering a more than 21-percent drop in a span of two weeks against the U.S. dollar, currency tracking websites and money changers told AFP. The rial was traded at between 39,000 and 40,000 per dollar on the open market on Saturday, down from about 33,000 two weeks ago, according to the money changers. It had briefly dropped in late January to 37,000 per dollar amid rumors that central bank head Mahmoud Bahmani could be sacked because of his failure to shore up the rial, the report said. The devaluation comes with Iran facing a growing shortage of foreign cash because of international sanctions against its central bank and vital oil sector over its disputed nuclear program. Uncertainty over stalled negotiations with the UN’s atomic watchdog agency and world powers over the nuclear standoff has added to controversy over the rial, according to local media. The currency was traded at 12,000 in late 2011, prior to the introduction of tough Western sanctions on Iran’s oil and banking sectors. The official dollar rate in Iran has been fixed for several months at 12,260 rials, but is reserved for official government business. Parallel to the open market, another rate of 24,550 rials is reserved for a few companies importing food or other goods judged essential. Iran is suffering from heightened geopolitical tensions over its nuclear ambitions and the effects of draconian Western measures curbing access to its reduced oil exports. The government, meanwhile, has promised to take measures to support the rial but so far there has been no sign of the pressure on Iran’s currency easing. Previously, the rial lost more than two-thirds of its value in a 20-day span starting in late September. The sharp decline in the currency caused scuffles to break out in central Tehran in early October, as local merchants protested over the failing economy. Iranian President Mahmoud Ahmadinejad has come under public criticism, not only in the parliament but also from Supreme Leader Ali Khamenei, over the country’s economic woes. Previously, Ahmadinejad steadfastly denied that the sanctions are hurting the economy, but last month he admitted that Iran lost a substantial part of its oil revenues in 2012 due to sanctions imposed over its disputed nuclear program.